I recently gave a talk at one of our Sunday Adult classes at EvFree Fullerton. This group consisted of 80 to 90 adults and the majority were in their 60s, 70s, and 80s. I began my talk expressing how I wanted to be an overseas missionary. As a Korean-American, I am indebted to the evangelical missionary movement. My mother first heard the good news of salvation at the historic 1973 Billy Graham crusade where over a million South Koreans sat on the ground in the pouring rain in Seoul, Korea. one of the largest unreached groups were in my backyard. According to the Barna Research Group, 1 out of 2 Americans are churchless, meaning they don’t attend church nor see value in going to church. If American unchurched people were a nation, they would be the 8th largest in the world. A majority of the unchurched demographic are Millennials (born between 1984 and 2002). Out of everyone who attends church, Millennials make up only 11%. The number of young people leaving the church or have no concept of the Christian faith is staggering. As of 2015, Millennials make up 92 million people in the United States. That’s larger than the 77 million baby boomers and over one third of U.S. population! If you want to be a missionary, you don’t need to raise funds from donors, uproot your family, and estrange your children from their grandparents. The millennial generation is a great missional focus of the American church. One of the best ways to make faith sticky and desirable for young people is great mentorship. In this post and future ones, I’ll advise on how the church mentor the millennials. I’ll start the series with the hardest pill to swallow. Reverse mentoring means being open to learning from someone younger, with less experience, or at a lower level than you. If you want to mentor a millennial, you have to be open for them to mentor you (mentorship is now “give and take” or “Reverse”). Why? Because millennials spawned in a ruthless efficiency-drivenenvironment that capitalism demands. Well, a lot of them are faster, more efficient, and more competitive than you. I know, scary. Yes, you do! And I’ll get to that. But first, let me point to an illustration. 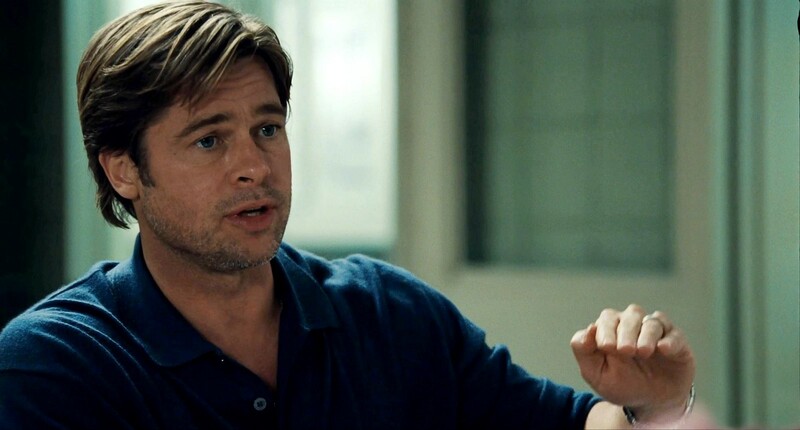 The story that sums up the reverse mentoring principle is the book and movie Moneyball. Billy Beane flattened one of the most hierarchical and traditional institutions in American history, Major League Baseball. Beane used a statistical approach called Sabermetrics to gain competitive advantage in acquiring baseball players versus the subjective eye of conventional baseball wisdom (e.g. scouts observing batter’s swings with their subjective eye). In other words, Beane utilized data, science, and a computer to get more optimal production for the least amount of money, while other teams paid enormous amounts of money for guys who hit a lot of homeruns. Beane, a former player turned General Manager would normally be mentoring. He is older and experienced after all. However, Beane reverses the mentoring role and hires a young financial analyst (played by Jonah Hill in the movie) to help him learn how to build a new world. Long story short, the baseball world radically changed. Teams now hire young people with brilliant minds to be their baseball executives and lead their organizations (Theo Epstein and Andrew Friedman). Organizations that have implemented formal reverse mentoring programs have found that younger mentors are more engaged and feel their voices are being heard, while the more experienced mentees gain new skills (think social networking and the latest apps) and insights into employee needs and issues. In summary, if you want to lead millennials, you have to learn from them and put them in leadership. Some ways you can act now. Millennials can teach you how to use certain apps, software, tools, equipment, etc. They are walking encyclopedias waiting to be tapped into (from hours of wasting time on wikipedia, reading lifehacking articles, and watching Ted Talks). They know how to cut your time in half. Ask them! Once you value how much they know, they will listen to the wisdom of your experience. Millennials are the most entitled generation this planet has ever faced. We need to feel valued in order to give respect. Once we feel valued, it disarms the entitlement. Put them up in leadership. Partner with young millennials and help them discover their own mission in the world, not merely asking them to wait their turn. The church needs young leaders to help navigate it through these digital terrains.